While the upsides of moving your physical location -- a change of scenery and new places to explore -- offer you positive benefits, the reality is that no one likes to do the actual moving part. The Star Trek series, you may recall, introduced us to the concept of teleportation, which most of us would probably see as a great way to solve the downside of a family move: the stress, the work, the costs. 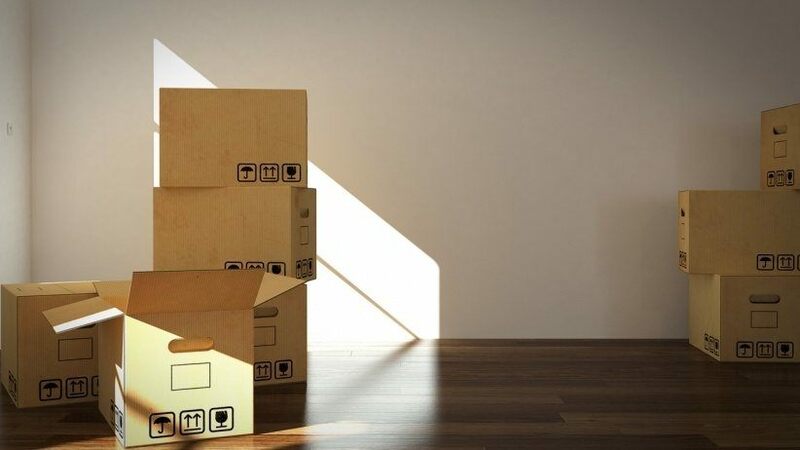 But teleportation is not yet an option, and moving continues to carry with it huge expenditures in terms of packing up your belongings and then unpacking them in a new place. Moving your company has the same issues. In addition, you're hoping that your employees come with you; or else you have a team of outsourced talent who aren't affected by a change in your company's location. If your situation is the former one, you can help with the stress of moving by showing you care about your people and want to help wherever possible. After all, your employees want to do well at their jobs, but they have to balance this move for you with their own life responsibilities -- including how they will physically move while still keeping up with work. Just think how stressful moving was the last time you did it. You most likely want to block that experience from your mind. Maybe you had someone that you vented to, which provided a way to let off steam. The same goes for your employees. Use message channels like Slack and Skype because they are great for checking in and letting your team members know that you want to hear what they are going through. You’ll know where they are in the move process, plus they will be happy you are interested. If the move is because of you, as the employer, it’s good to provide updates on the actual company relocation plans, including time frame and logistics. During these chats, it’s a good idea to offer positive thoughts and let employees know just how much they are appreciated. It’s also a great time to reassure them that you understand, so they know they can take the time to deal with the move without feeling guilty about their work. With so much stress, encouraging words can help them accomplish what they need to do at work and at home in a productive way. Don’t be pushy with team members who are moving. Instead, let them know you care enough to share some of your own moving hacks that have worked. You can ask if they need any suggestions regarding companies that help with the moving process -- or you can just throw out some company names as options. One of the most time-consuming parts of moving is setting up home services like high-speed internet, cable TV, utilities or a new home security service. You could point your employees to helpful comparison shopping sites like InMyArea.com to help alleviate these pain points. The site makes comparison shopping for these services convenient and efficient; it lets you search by zip code or home address and sort results according to the best rates. Your employees will appreciate the fact that you considered the moving dilemmas that may have felt were overwhelming or confusing. While some team members willingly work through the week and into the weekends, it’s important to remind them to take the time they need to coordinate their move and get packed up. If you don't tell them this, they will probably still work around the clock plus take on all the extra tasks that go into moving. Set up a schedule so they can balance their work obligations, and leave plenty of room on the calendar for packing and physically moving. Work together on this schedule so your employees can see you want them to have the time they need. Organizing the workflow in this way will take away the pressure, as well. While you may not be in a position as a startup to compensate staffers for their move, you can add this benefit once the company grows to the point that a future relocation requires certain staff to physically move with it. Otherwise, focus on outsourced working relationships. Freelancers choosing to move of their own accord should cover their own moving costs, of course, especially when those costs don't impact the work they can deliver. But if you do have freelancers working from your office and can afford to finance their move, that expenditure will give you a tax deduction and show your talent that you have a big heart. Just remember that the stress from a move is only a temporary headache. You, your business and your talent will be back on track again once the dust settles!